The full-phase photometric variations of a planet provide a unique view of its atmospheric composition and dynamics. The number of planets with phase curve detections, however, is currently too small to study them as an aggregate population, motivating an extension of the search to non-transiting planets. In 2017 I published a paper in which I presented a supervised machine learning algorithm for the detection of non-transiting, short-period giant planets in the Kepler field through their reflected light phase curve signals. After searching roughly 150,000 Kepler FGK stars, I identified 60 high probability non-transiting hot Jupiter candidates. These targets are strong candidates for follow-up radial velocity confirmation and characterization. Once confirmed, the atmospheric information content in the phase curves may be studied in yet greater detail. 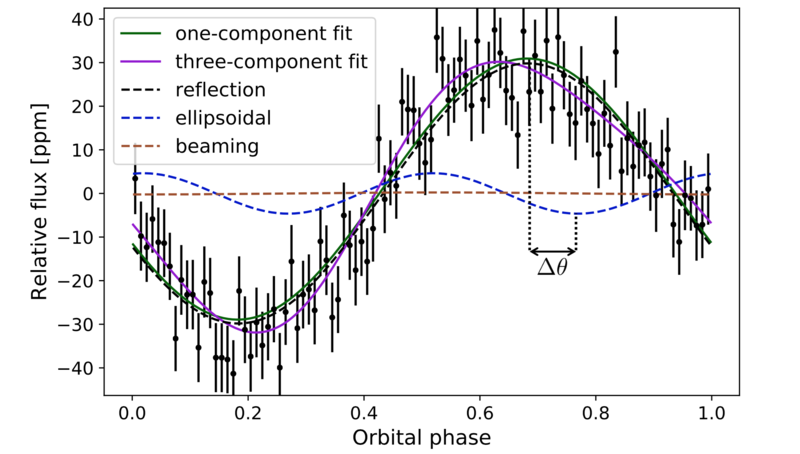 Reflected light phase curve detection of one of 60 non-transiting hot Jupiter candidates. 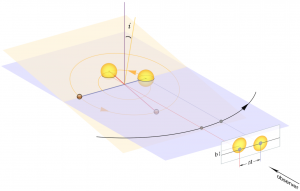 Simultaneous measurements of a phase curve for the non-transiting hot Jupiter and an astrometric TTV signal for the exterior transiting planet provide a viable detection mechanism for hot Jupiters with inclined planetary companions. A recent theory of in situ formation of hot Jupiters predicts the existence of low-mass companions to hot Jupiters with a significant mutual inclination between the hot Jupiter’s and companion’s orbital planes (Batygin et al. 2016). I developed a new photometric technique for the detection of prospective systems of this type (Millholland et al. 2016). I plan to revisit this project and use the supervised learning algorithm mentioned above to aid in the search for non-transiting hot Jupiters in Kepler systems.